Actress Kim Ji Soo is under fire for attending a media interview event on October 17, heavily intoxicated. On this day, Kim Ji Soo was scheduled for a cafe interview with media outlets at 10 AM KST. 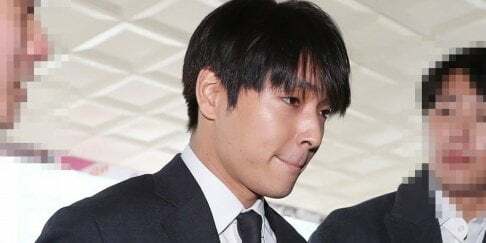 However, the actress arrived on the scene at 10:40 AM KST, 40 minutes after an employee from her label Namoo Actors told the press, "The manager in charge [of Kim Ji Soo] is not answering the phone. The actress is currently headed here in a taxi by herself." When Kim Ji Soo arrived, she seemed very hungover. The press commented, "You seem like you're intoxicated", to which Kim Ji Soo remarked, "Yes, I am. Is it offending you? I can stil answer your questions, so ask them." The actress also reportedly stated through slurred speech, "The drinking outing yesterday ended very late. Because we were talking about difficult topics, we drank until very late." And then, in am attempt to to discuss her new film, she said "There were things I was expecting more than I thought... they came out better than expected." After 5 minutes in front of the press, the actress was removed from the event by her label employee. It turns out, Kim Ji Soo was out drinking with the staff members of her new film 'Intimate Strangers' after a separate promotional event the day before. As a result, Kim Ji Soo's side was forced to cancel the media interview. Meanwhile, 'Intimate Strangers' also starring Yoo Hae Jin, Jo Jin Woong, Lee Seo Jin, Yeom Jung Ah, and more tells the story of a couple's gathering, where the couples begin a strange game. They must reveal all of the contents of their phones calls, text messages, KakaoTalk messages, and more to everyone present at the gathering. It premieres on October 31.